One of our latest escapades sees our Magic Van helping out the AnyVan for Business team. After hearing about the success of the Magic Van, Pink Buddha reached out for some assistance with moving donated furniture to the British Heart Foundation. 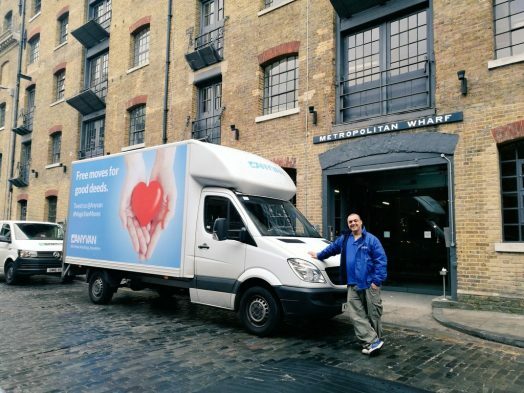 The project included moving office furniture such as desks and cupboards from East London to the British Heart Foundation’s shop in Old Kent Road, as well as helping with Pink Buddha’s office move from Wapping to Shoreditch.